Xenowerk is a top action shooter game published by PixelBite. This game is on the top page in the Google Store and it reminds me for an old classic game for the NES called Metroid. The atmosphere and the surroundings have a very similar feeling, which is good because Metroid is still a great game. This game is something that can take you aside from the boring everyday life. It will hold your hands on the phone and you will be tapping the screen all day. 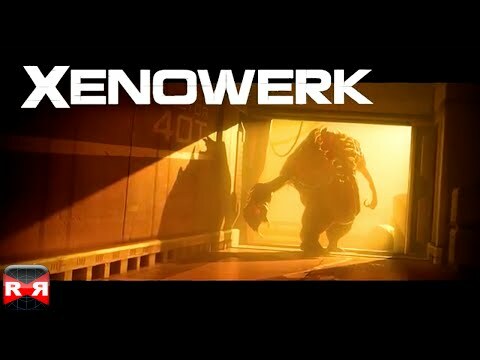 In Xenowerk players are sent on a mission to figure out what went wrong at an underground laboratory that was doing experiments on mutated creatures. When the player arrives they find a worst-case-scenario of monsters running rampant, laboratories completely destroyed, and no sign of human life whatsoever. The one thing is that the levels are loading so fast that you have a hard time to be distracted. And this is a feature that very little games have. Your hero in Xenowerk is equipped with two guns and your goal is to clear the levels and complete your mission. And now let`s talk about the gameplay in Xenowerk. This game is pretty simple and by saying I want to mention that the levels are short and you can complete them fast and easy. But even the difficulty is not the key here. There is something incredibly satisfying about bursting apart monsters with a steady stream of hot lead. Xenowerk offers players a number of weapons that they can choose from, and the weapons upgrade automatically as you use them — so the rifle that you bought will end up being improved over time just by killing monsters with it. The control in Xenowerk is a breeze: left thumb controls movement, and right thumb controls aiming. The camera does a great job on its own of panning around to face the direction you’re heading, but the ability to automatically re-center the camera to whatever direction you’re facing is also a nice touch. Even though Xenowerks is repetitive and easy, it’s still a fun game that is a great quick-fix to satisfy your urge to blow up monsters into chunky, green, bits. Overall, I think that this game is pretty good and it is worth playing it.